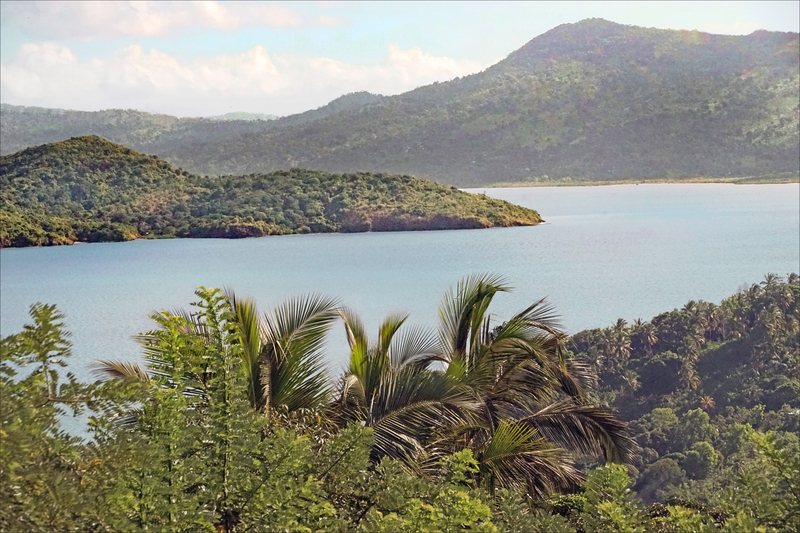 Sailing around Guadeloupe combines French charisma and flair in a Caribbean island. Here, you have the privilege of embarking on short-hop relaxing sailed or long voyages to get to your destination of choice in Guadeloupe. These sailing routes are designed for intermediate sailors who are looking to experience the most breathtaking views the eye has ever seen, along with the opportunity to absorb the cultural richness of this amazing island. 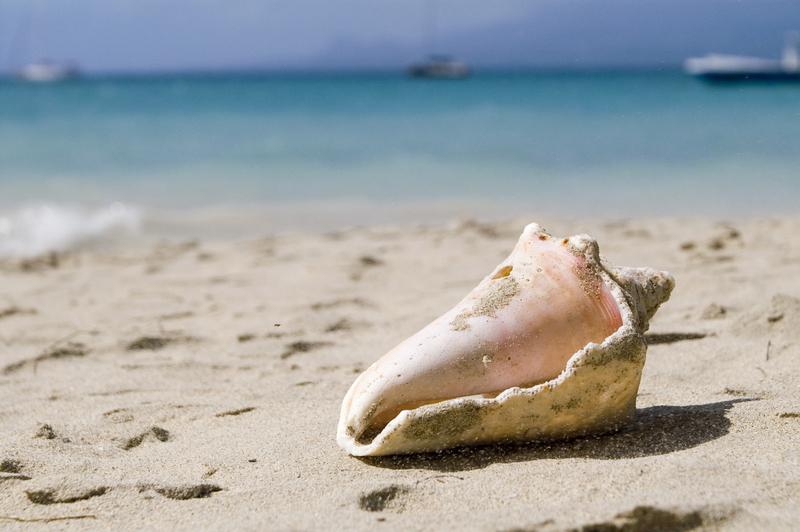 Start your boat charter in Guadeloupe and go on an unforgettable adventure. Are you planning to go sailing with your whole family? Take a look at our advice for sailing with children. 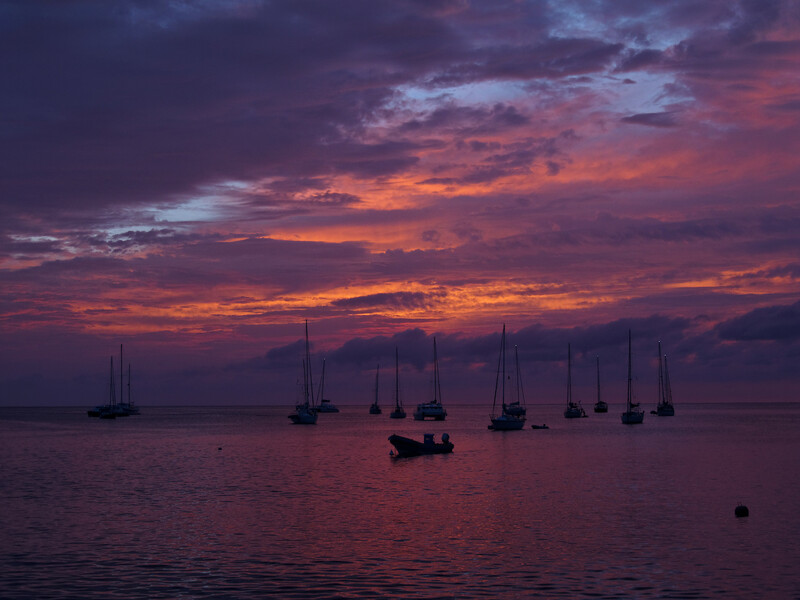 Day 1 of your Guadeloupe sailing experience will begin at the oh-so-famous Marina Bas-du-Fort. Also known as Marina du Gosier or Marina de Pointe-à-Pitre… Just to avoid any confusion! There are maybe a few too many names for this marina. Nevertheless, it is a fantastic starting point for your voyage with its warm welcoming staff, free wifi, warm showers and toilets, washing machines, tourist info and concierge services. In high season, you will see that there are extended opening hours to make the most of your day. After a morning of getting to know your charter boat and preparing for your voyage, start sailing Guadeloupe by going to the Islet of Gosier, just across from the marina. Here you can enjoy a few hours of swimming and some lunch before returning to the sea and continuing onto Les Saintes. You will arrive in the Bay of Saintes just in time for a sunset guaranteed to take your breath away. Although there are many moorings to choose from, our guidance would be to moor at Bourg des Saintes. It is compulsory to use the new moorings at Bourg des Saintes, looking South. Prices depend on the size of the yacht but are approximately around 13€ per day. Clearance here is no longer carried out in town hall but in the internet cafe(turn right off the main dock, look upstairs and on your right). Spend the evening ashore and check out Ti Kaz’la for spectacular food and an even more spectacular view. You can choose to sit inside or by the beach and listen to the waves crash against the rocks. After a lovely evening, you can either hit the hay or check out the nightlife scene that Îles des Saintes has to offer. On day 2 of your sail, make the most of your day in Îles des Saintes and relish on the unspoiled tropical beauty, serenity and French style. In addition to its phenomenal beaches, spectacular bays, out of this world snorkelling and fascinating historical sites, this quaint island offers a charming village with great shops and restaurants. Once you are satisfied with your visit here, enjoy a short end of the day sail to the “Sugar Loaf”. Named after the mountain in Rio de Janeiro, you will already have some kind of visual image in your head of what it could look like. 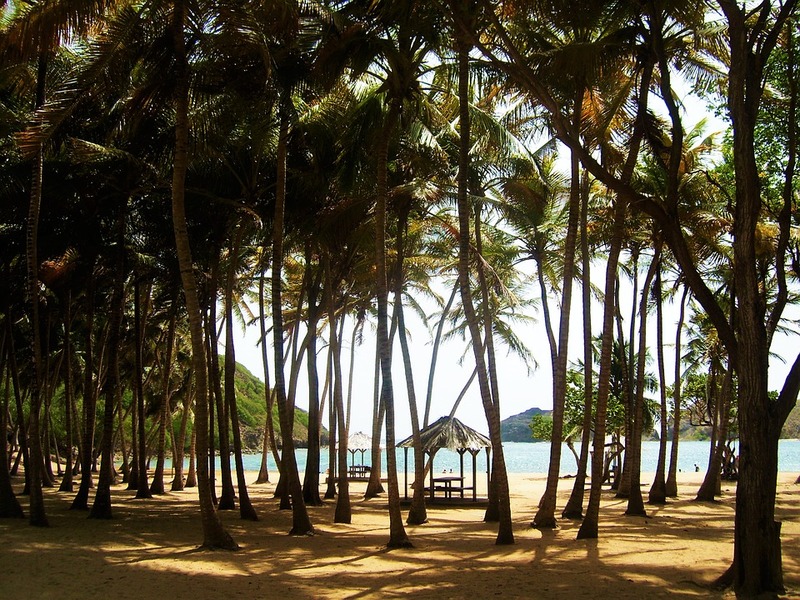 However, it is arguably some what better, due to its lack of tourism and breathtaking beach, named Pain de Sucre. However, there is a marina which can get quite busy depending on the time of year. But don’t worry, all you need to do is call ahead and book a spot. Alternatively, you can moor back up at Saintes for an evening of indulging in Caribbean inspired cuisine and expertly crafted cocktails. 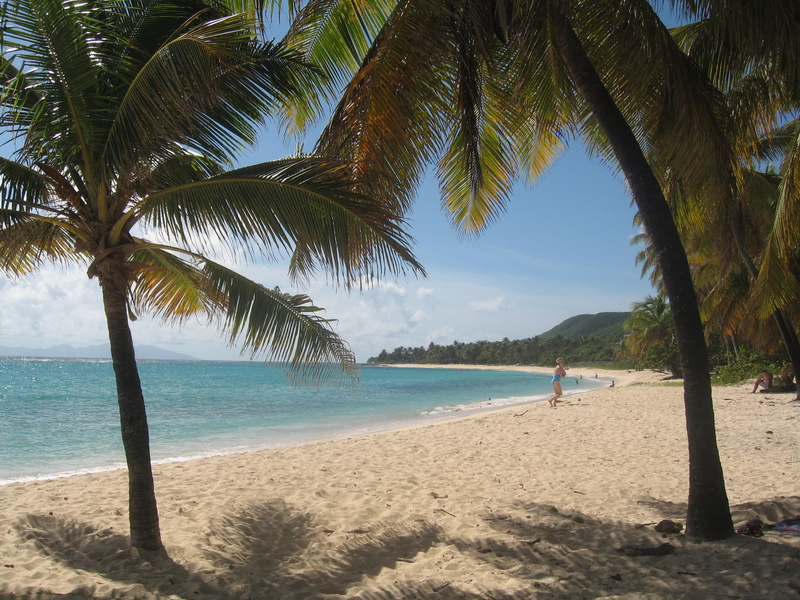 If you don’t already feel it, then this is the beginning of your love affair with Guadeloupe. Make sure you conserve some energy for a big exciting day of sailing the following day. It’s day 3 and you should celebrate with a hearty breakfast! Afterwards, hoist those sails and head east towards Marie Galante. Be sure to drop your anchor at Anse Canot where you can enjoy a variety of water sports. Anse Canot is an isolated crescent shaped beach only accessed by boat. Unfortunately, there aren’t any public services apart from small concessions for drinks and mobile vendors to buy snacks. Due to the rusticness of the island and its accommodations, this little treasure has not become overcrowded by tourists. Once you are satisfied with your visit here, embark on the rest of your journey over to the magnificent Marie Galante. St Louis is the main anchorage in Marie Galante. It is not the capital, nor the main point of entry but it has many moorings available and the services you need before continuing on with your charter. Once moored, be sure to spend the afternoon checking out the wide range of activities available in Marie Galante. We recommend that you take a visit to the remotely located rum distillery. It has a historic setting in a wonderful old windmill. You will notice that with its rolling hills of green cane still worked by oxen and men with broad-brim hats, it’s like traveling back in time to when Guadeloupe was still a giant farm. For dinner, we highly suggest that you head to La Playa for some tasty seafood. The food is delicious and fresh and the service is excellent. What more could you want out of your evening meal? We also suggest that you book ahead to avoid waiting and disappointment. As it is one of the most popular restaurants on the island. Voted one of the best restaurants on the island it’s bound to get busy! Now it’s time to get your dancing shoes on. Even in peaceful Marie-Galante, it’s possible to enjoy some nightly entertainment on the island. Check out the musical evening performances by local and visiting artists. If somewhere along your journey you discover there is a swell, you can seek shelter in the late afternoon in St. Louis, which is a little more protected. Here you can dine at Chez Henri. Day 4 is another day of cruising the crystal blue water surrounding these paradisiac islands. As you arrive in St Francis mid afternoon, you can moor in St Francois Municipal Marina. Book ahead to ensure a great spot. Here you will find a little heaven of peace along this tranquil and beautiful lagoon. The marina is located in the very centre of St Francois, Grande Terre. If exquisite cuisine is your thing then get those taste buds tingling and make the most of the flavoursome food here, it is simply to die for! There is also a nautical centre if you would like to try different activities such as deep-sea fishing with a professional, or kite surfing. After a busy day, take a stroll along the horse shaped bay of Baie de Pompierre. The reed-protected calm beach invites you to sink your toes into its gold-glistening sand. 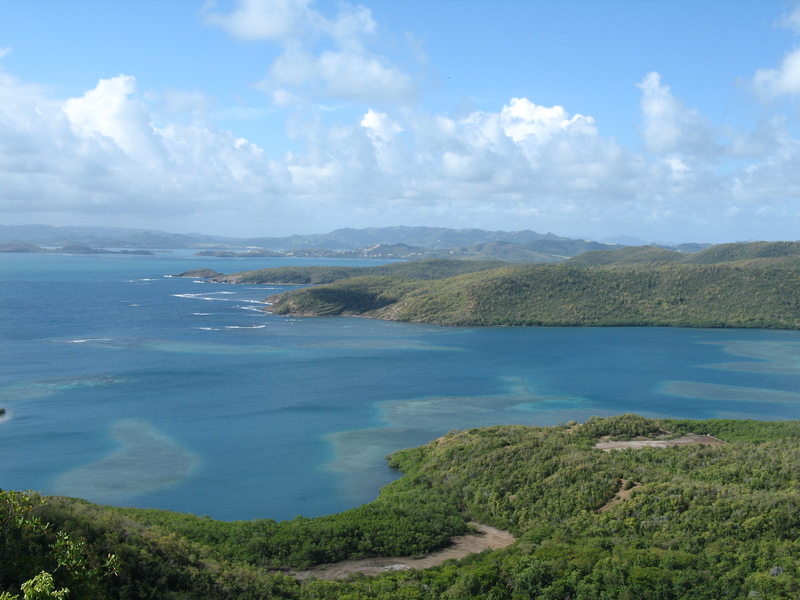 Day 5 of your sailing adventure allows you to embark upon the beautiful nature reserve that is Petite-Terre. You will spot the distinctive lighthouse in the distance before you get close to the islands. There are 15 moorings at the anchorage here for you to spend the day. Here you will find yourself in a swimmers/snorkelers paradise as the turquoise waters are home to a huge variety of brightly-coloured fish. The two islands are protected by a reef and have therefore been a national park for many years. After a day of exploring, make your way back to St Francois for an evening of entertainment. Goodmorning wonderful sailors! For day 6 you will be sailing the coast of St Francis. 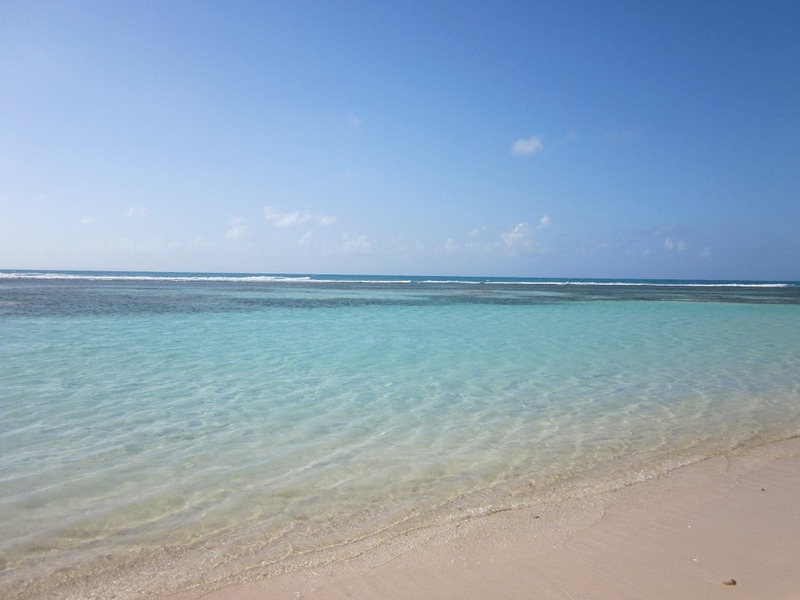 Set sail in the early morning and by lunch time you should reach the Bay of La Caravelle. Here, you can anchor and enjoy some food at Club Med La Caravelle. As the evening approaches you have two great options to spend what could potentially be the last evening of your holiday. If you prefer to party the night away, you can moor in Marina Bas-du-Fort. Here, there is an abundance of restaurants and bars. After you have enjoyed a nice meal and a few cocktails, you can end your sailing experience on a high at Zoo Rock Café which brings together both the young and old of Guadeloupe. Alternatively, enjoy your evening blissfully under the night stars at the quiet and peaceful island of Gosier. Day 7 is unfortunately your last day. But don’t be sad, you still have a wonderful day of sailing ahead of you! Be sure to stop for a last snorkel and take plenty of pictures to remember your week. 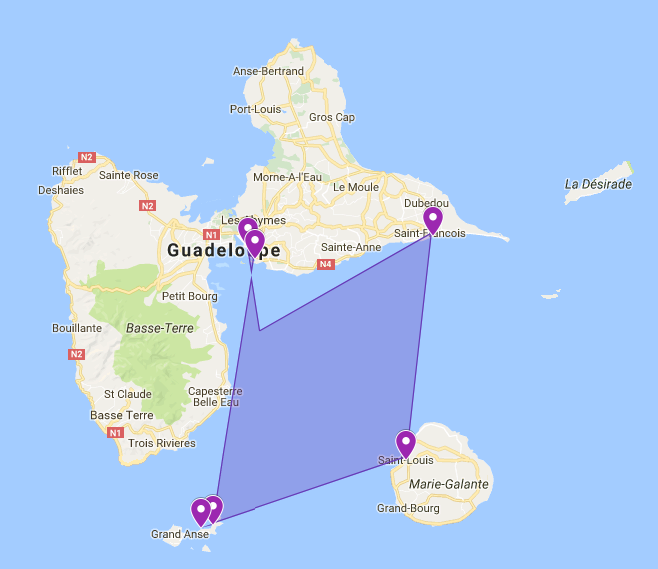 Hopefully we have provided you with a wonderful 7-day Guadeloupe sailing route full of exploring and astonishment, so you can start planning your sailing vacation in Guadeloupe! We are sure that it will be a wonderful Caribbean experience, no matter what. If you only have less time available for a sailing trip, check out our route for 4 days. Or if you prefer to sail for a longer period of time take a look at our route for 10 days! 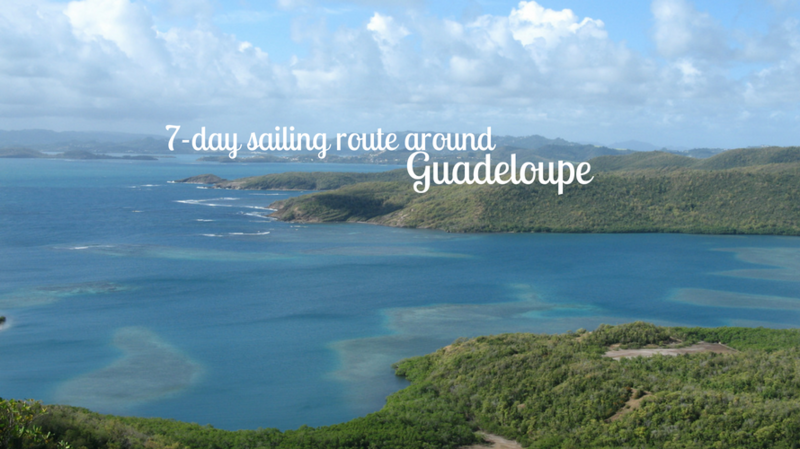 Have you set sail in Guadeloupe before? Tell us about your boat charter experience and your tips for the best route around the island!